World is getting more involved in 'wireless communication' and there are plenty of services already available everywhere. To ensure that world gets a faster internet connectivity, Google earlier came up with a new technology called "Project Fi". With this Google became an official basic mobile carrier in the US and hence other similar carriers (MVNO) are in real danger of existance. Currently Motorola Nexus 6 is under testing for Project Fi signals and soon will be available for other devices. 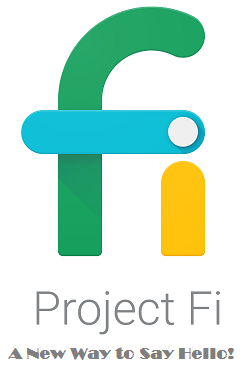 Google's new exciting "Project Fi" is a referral program offers you a $20 when you reffer it to a friend. Using their 'Refer A Friend' option, you get a unique code which can be shared with anyone who want to join. In return Google will give you $20 straight away in your next bill. To qualify for this offer, a new joinee must stay with Project Fi for at least 30 days and must not have signed up previously. Again, he/she must have paid for two months of their services and your/existing customer's account must be in healthy condition. You can refer up to 10 friends to join Project Fi. Once yur friend joins, you both will see $20 credit applied in next pay. This offer is valid until January 11, 2017 so hurry up and start asking your friends to join. A highest quality mobile inernet network. Effective communication between various platforms. Similar Approach to use the Google Carrier.